Keia: On its first and last album, FoLLoW pulled together a perfect mix of upbeat songs and emotional ballads that demonstrate the band's potential during its three-year lifespan. The self-titled album includes amusing and new songs like "perfect love" as well as already released songs like "Until" and "planetarium". 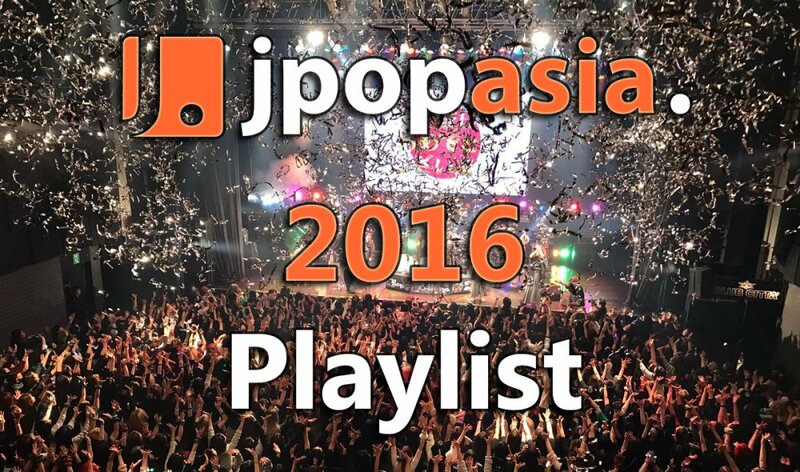 Get emotional over "Pinocchio" and "LAST DAY" and dance along to "Upper cut" and the band's last PV "Music Garden"! In this August 2016 release, the members gave their all to show that they can touch their fans' hearts with both happy and sad music. 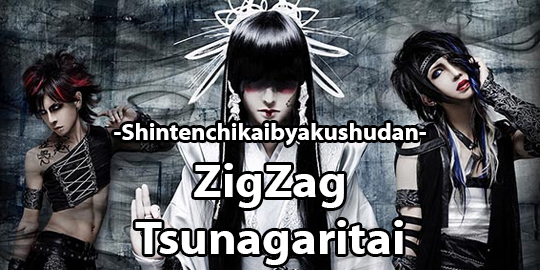 Keia: ZigZag’s first mini album “tsunagaritai” dropped in April 2016 and gave fans who can't attend the concerts a chance to check out what the band’s music is like. The members surprise their audience with a mix of hard rock and traditional instruments, like in the song "Akuryo Taisan.". Not only does the music make you want to head bang, but it also makes fans want to sing along to catchy lyrical strings like in the lead track "Tsunagaritai." Vocalist Mikoto's way of singing varies from clear melodies to traditional, acient tunes and he also isn’t afraid to growl – quite often all of it even in the same song. The lyrics of this album and the band’s songs in general are about the feelings and behaviors of Indie Visual Kei fans. But ZigZag has a 2nd concept: exorcism. The mix of these two concepts makes the band quite unique in the current Visual Kei scene. 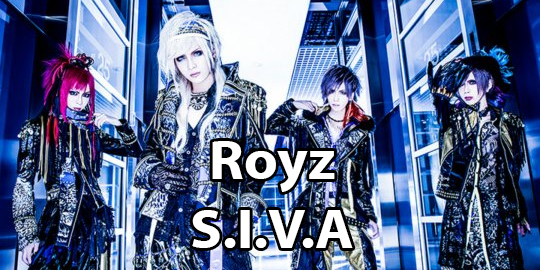 Leighla: Royz had a surprisingly good year with releases. After some of their singles from the previous year left you questioning the band’s direction, the ingeniousness of those songs came together when S.I.V.A was released. Beating through with hard songs like “Vishnu” and “Oni to Jakou”, the band kept you on your feet with distinct, unique songs that kept your attention the whole way through. If you want to see Royz rocking with consistent reliable songs, this is the album to check out. 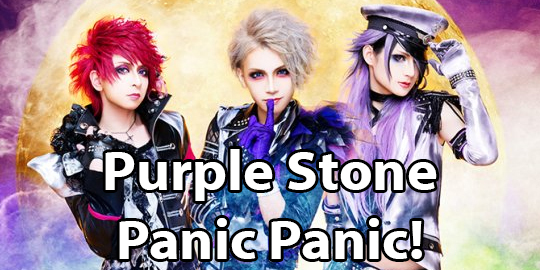 Keia: This August Purple Stone surprised the audience with a summer Halloween song titled “Panic Panic!”. Even though Purple Stone has already released funny, humorous songs in the past, this is the first time that the band has decided to release one with a music video. The catchy melody and the repeating lyrics make it easy to sing along to the refrain, even if Japanese isn’t your mother language! And if you like dancing, then you should definitely check out the music video and dance along to vocalist Keiya’s moves! Leighla: For the most part, Chanty was quiet throughout the year. But the members had no intention of staying that way when they released their mini album, “Fukanzen na Ongaku”. 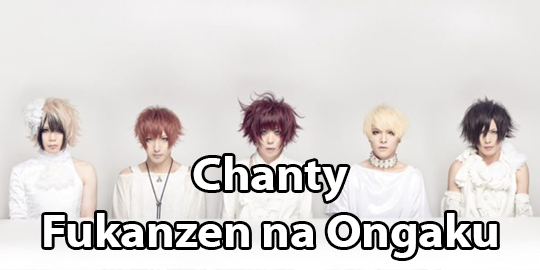 Energetically plowing their way through each song, Chanty captivates the listener with pounding songs like “Mugen Loop” to the gentler song “Sekai ni misuterarete mo kitto oto wa nari yamanai”. With fun guitar solos combined with Akuta’s sweet voice, the mini leaves you longing for more and makes this release a must-listen. Keia: Seven months before its disbanding, girugamesh released its last mini album, "chimera". 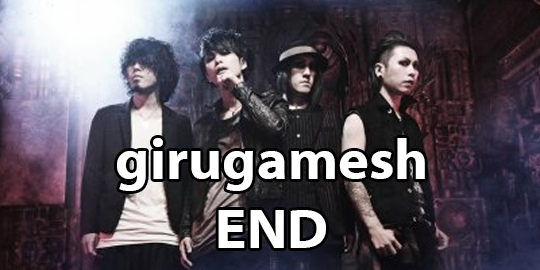 The band's song "END" serves the dual purpose of foreshadowing the band's disbandment and ending the last release by girugamesh that you could buy in stores. Lyrics like “Are we living? Or are we letting it end?”, and “There is a life that gave up on living. For this limited period of time I will continue singing.” are only samples of the deep meaning this song conveys. Matching the lyrics, the melody expresses the feelings of despair as well as a flicker of hope. If I had to decide on one single song to pick as “song of the year 2016”, this would be my choice. Is your personal favorite is not in this list? Tell us what your highlights of 2016 were below. We'd be happy to hear about it! 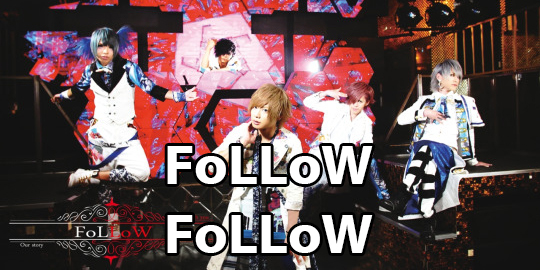 FoLLoW Uploads Preview for New Single "Jekyll & Hyde"